In June 2012 Blake turned 80 and to mark the occasion the artist was invited to present a selection of works from the gallery’s holdings and to design a new flag for the facade. The extensive and multifaceted show covered three floors of the gallery building. This was the first time in the gallery’s history (est. 1876) that the exhibition space and storerooms have been taken over by an artist in such a manner. The selection is a unique insight into the mind of a truly creative talent and the artists who have inspired him throughout his career. Peter Blake has a long standing relationship with The Fine Art Society and in decades past he would browse the gallery for inexpensive and overlooked historic prints to refashion in his own artworks. 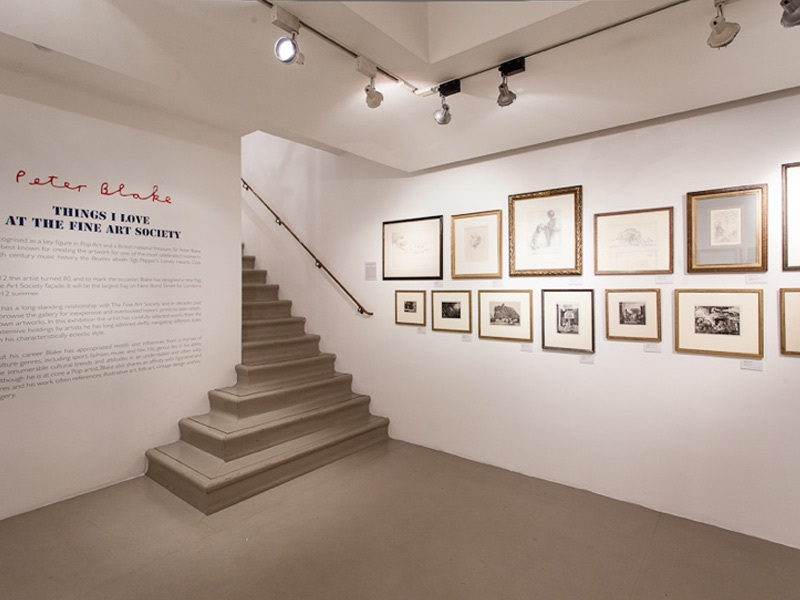 In this exhibition the artist carefully selected around 100 works from the gallery’s extensive holdings by artists he has long admired such as Edward Bawden, Paul Nash, Walter Sickert, Edward Burra, the Boyle Family, Edward Burne-Jones and contemporary artists Rob and Nick Carter and Keith Coventry. 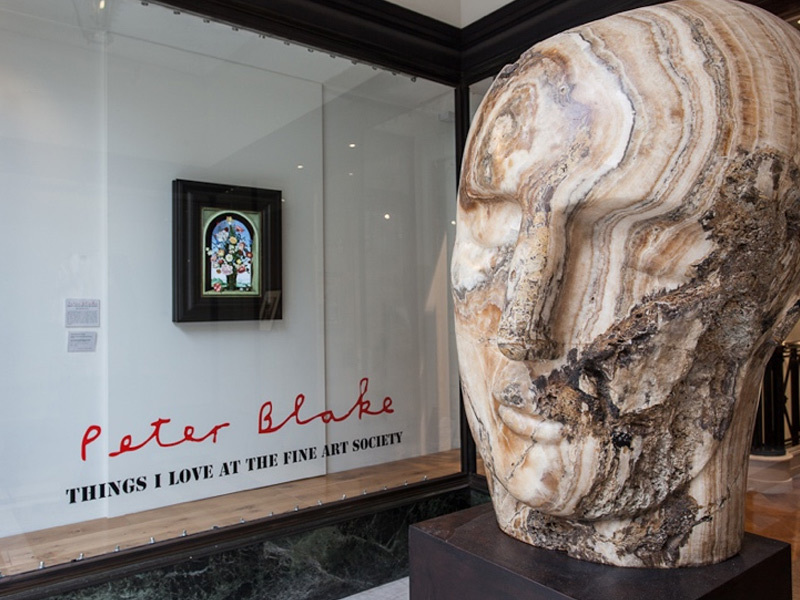 The godfather of British pop art, Sir Peter Blake, who recently celebrated his eightieth birthday, has rifled through The Fine Art Society’s holdings to curate a show to rival any big group summer exhibition.